The Adventures of Nurse Niki Chapter 5 is posted. This week Niki navigates dirty dishes, a stress dream, and earthquake preparedness. Sound familiar? You probably work night shift! On her Facebook page, Niki posted a video of a song she was listening to on her CD player. Notice the shopping carts? You’ve probably read Chapter 4. Last week, Niki posted Simon’s recipe for Macaroni and Cheese with gluten-free substitutions. Anyone tried it yet? 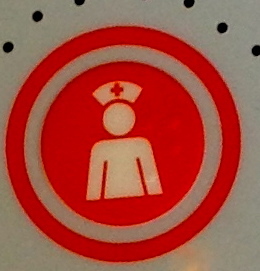 You can interact with Nurse Niki on her Facebook page, and don’t forget to “Like” it. Show Niki some love! Many thanks to the readers following The Adventures of Nurse Niki blog, the retweets of @NurseNikiAdven, and those who not only Like Nurse Niki’s Facebook Fan Page. The support is very much appreciated! This entry was posted in Posts About Art & Nursing, The Adventures of Nurse Niki and tagged dirty dishes, earthquake preparedness, Facebook, fan page, Fictional Doctors and Nurses, Macaroni and Cheese recipe, night shift, nurse blogs, nurses, pediatric intensive care nursing, pediatric nursing, PICU nurse blogs, recipe for macaroni and cheese, shopping carts, stress dreams, The Adventures of Nurse Niki by jparadisirn. Bookmark the permalink.